Sandvik Load and Haul says it has developed a Proximity Detection System Interface for its underground LHDs and dump trucks. 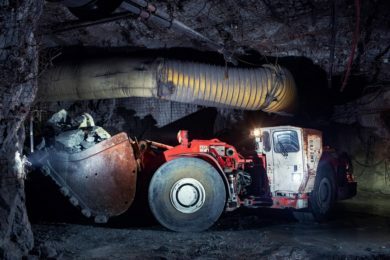 The feature allows installation of a third-party proximity detection system (PDS) to a Sandvik underground loader or dump truck to meet legal requirements and improve safety in underground operations. The PDS interface comes together with another safety enhancing feature, Speed Brake Interlock, which is used to prevent excessive speed during driving. When the Speed Brake Interlock functionality is in use, it monitors the equipment speed and guides the operator to slow down by means of visual and audible messages on the system display.